This the transcript of the speech I gave at the National Cattlemen’s Beef Association Public Lands Council meeting on February 26, 2009. The point of the exercise today is to develop a public relations strategy and campaign that promotes/restores ranchers to their rightful position in frontier/western iconography as our premier rural stewards of the American west. That’s a tall order……. In today’s metropolitan/suburban value dominated society, ranchers are generally perceived as the BLACK hats, ecological villains, landscape abusers. As you all know, this is a result of 40 plus years of verbal, written, and financial assaults from the non ranching community. So the challenge is: How do you turn today’s proverbial Black Hats into resuscitated White Hats, and resurrect the public image of SHANE, BONANZA, The LONE Ranger, and create a positive apotheosis of ranchers as emblematic stewards and tenders of the garden of our American west. To give you perspective and some hope for transforming this public relations dynamic, I’m going to quickly sketch my personal journey from young eastern, Ivy League enviro to today’s rather ardent promoter of ranch conservation in the west. My first exposure to ranches in the west was during my sophomore year of college when I experienced a Holy Grail vision: driving from central New Jersey in late January, to present myself on the doorstep of a lovely lass attending Denver, Univ. During the entire 30 hour drive it never occurred to me that she might not be pleased to see me-alas, she was otherwise encumbered. So for 10 more days, I drove to Crested Butte, Vail, Gunnison, through all the mountain holes of central and southern Colorado. This was 1969, before condos and most of the ski resorts. I came back in the summer of 1970, got the same screen door from the blonde, and got to see those same mountain valleys, and holes in July with mountain bluebirds, western tanagers, cows in the pastures and hay getting stacked on beautiful ranches. It left an enduring image, unlike the lady of youthful pursuit. After college I spent four years working for the Sec. of Interior during the early 1970s which presented two conflicting experiences: first, I was assigned to get the cows out of a number of National Wildlife Refuges: Malheur in eastern OR, Bosque Del Apache in central NM (remember Denzel Ferguson Sacred Cows at the Public Trough?) Second, I got to know Jack O Horton of Saddlestring, WY, A/S overseeing BLM and father of FLPMA who gave me the first hint that ranchers weren’t all that bad. During the 1980s I was in the thick of grizzly and wolf conservation efforts. The best I can say is that I listened to the perspectives of ranchers. By the late 1980s and early 90s as Executive Director of NFWF, I underwent a Paulian conversion of sorts, sponsored not by religion, perhaps by too great an infusion of tequila, but most likely by the sudden weight of common sense sitting roundly upon my chest. You see all through the late 70s and 80s I watched my former Interior boss, who was on the board of NRDC, engage in a persistent legal campaign suing ranchers over grazing fees and other purported land-use abuses. And in every telling, I kept thinking of those Colorado and Wyoming valleys, which meantime had become studded with ski resorts and condos and second homes, as ranchers were driven from their business. And, I thought what is harder on the landscape? That old barn and pasture, a few overgrazed meadows and hard packed riparian areas or the resulting fragmentation of the habitat from the multi-faceted pressures of development. Of course, we needed someone like Rick Knight to do the science and prove that all of our intuitions on this score were right. 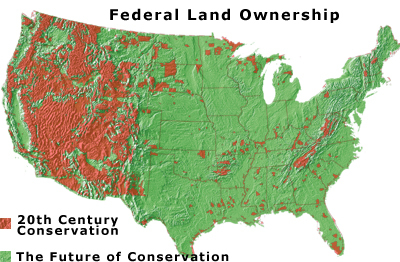 Meanwhile I could see that public land acquisition by federal agencies was sinking under the weight of their own bureaucratic constipation caused by an over stimulated appetite for acquisition. So in the early 90s, as E/D of NFWF, I started experimenting with promoting conservation with private land owners, ranchers EVEN. We gave one of our biggest early grants to create the “Private Lands “program for Texas Parks and Wildlife. We started a joint program with private ranchers and FS/BLM to restore riparian areas in the west. The program was called, “Bring Back The Natives”- natives in this case referring to fish. The first grants were on the Mary’s river (1991) up by Winnemucca, NV. We did the San Pedro in AZ and rivers across CA, OR, WY, MT, UT and CO. In every case within two or three years substantial progress was made in restoring the riparian zones with the assistance of ranchers. 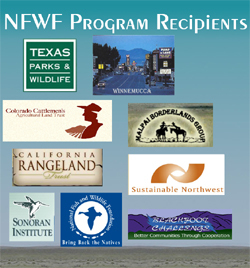 We gave a lead grant to support the Malpai Group (NM, AZ) that also included years of sustaining grants; we gave a lead grant to Colorado Cattleman’s Ag LT, ditto California Rangeland Trust, grants to Sonoran Institute, Sustainable Northwest, Quivira Coalition. Along the way I met some wonderful people: Bill MacDonald, the Warner Glenns and other Malpai board members, Elizabeth Paris, later chief clerk of Senate Finance, and Pat and Sharon O’Toole of Ladder Ranch. 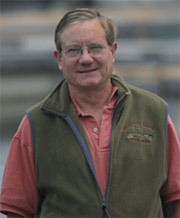 In 2000, I went out on my own, set up the Resources First foundation (RFF) with the intent of developing private sector solutions for conservation, and in 2001 we started building the Private Landowner Network (PLN) a website designed to put actionable conservation information and resources into the hands of rural Americans. After years of plugging away on PLN we were approached by the folks responsible for putting on the 2005 White House Conference on Cooperative Conservation (WHCCC). They had a vision for collecting and displaying cooperative conservation success stories from across the nation. Using the power of the Internet to spread the word of the successes of these cooperative conservation efforts, the message of the conference was established and reinforced. RFF built an online tool for people to enter and review their stories and put them online; people could search for stories or find them by region. We feverously worked throughout the summer building the site, collecting stories, reviewing and managing the wealth of information we collected. By the time the conference rolled around in late August we had collected, reviewed and put on line close to 900 stories on Cooperative Conservation America (CCA). But we were not done there, we then had to work to get these stories into the compendium document for the conference Faces and Places of Cooperative Conservation. This concept is the driving force for my vision of a successful public relations strategy for the ranching community, to which I will return. As a result of our success with the WHCCC we were approached by the former chief of USDA’s NRCS to help them rebuild their online agricultural energy estimating tools. Over the course of a year we helped them build four tools and as a result we were recognized by former Secretary Johanns with a USDA national honor award in October 2006. In 2006 after Pres Bush signed the Pension Act providing capital gains reductions for conservation easements, we recognized the value of helping landowners realize the benefits of incorporating conservation into their tax and estate planning strategy. To do this we built the Conservation Tax Center (CTC) and populated it with a library of informative articles on conservation based tax and estate planning and included a searchable database of experienced tax attorneys and estate planners … a one stop shop for landowners tax needs. Why this focus on the internet? I have been drawn to the internet by my determination to find a delivery service for land owners across the country that cuts out all the bureaucracies and middlemen and empowers individuals with intelligent information. This is support for a bottom up empowerment approach. 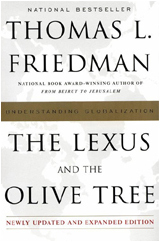 Friedman goes on to reinforce this concept by using the old Chinese proverb that still rings true today …‘Give a man a fish and you feed him for a day. Teach a man to fish and you’ve fed him for a lifetime.” With PLN we are putting fishing poles in the hands of landowners across the country. That is our vision for how PLN, CTC, CCA and all RFF websites are working. We have created on-line buffets. Almost 73% of the US population uses the internet - that is just over 220 million people. 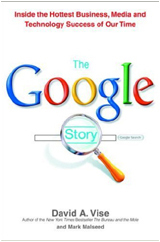 An estimated 9.5 billion searches were conducted in January 2009 alone. That is a 27% increase from January of last year. 55% of American homes have a high speed internet connection. And these users are more likely to turn to the internet first when they want to answer a question- and it is increasingly likely a search engine will be used to find the answer. Everybody is catching on … the biggest increase in internet use since 2005 is in the 70-75 year old age group, 45% of that age group is currently online – up 20% from 2005. Lastly research has found that overall visits to the popular content sharing sites are up by 686% since 2005, and currently account for 12% of overall web traffic in the US. This brings us to the opportunity of developing an effective strategy of how to create a persuasive presence in public relations that enables you to penetrate not only the western media, but nationwide metropolitan markets, the conservation market, the state-federal market, and provide a platform to scale the true-life stories of highly individualistic and idiosyncratic ranchers as prototypal pioneers in conservation. 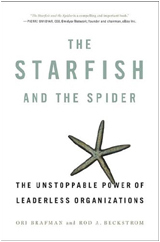 We need to take the message of successful rancher stewardship (to replace the 4 hoofed locust stereotype purveyed by the enviro community), to the multi-media marketplace as a winning formula. 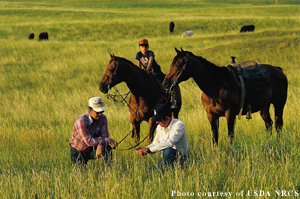 Ranching needs an organizationally unaffiliated, public relations platform to tout the ecological, biological, and conservation benefits of working ranches as stewards of the western landscape. We need to tap into the power of the internet to bring this message to the public at large with no boundaries and no attached bias to promote Ranchland Conservation. The way I see this working is to create a centrally located web-based compendium of rancher conservation success stories that will promote ranching with rancher developed and reviewed conservation successes. The website will stand on its own and be designed from the bottom up where ranchers will provide the content, the success stories, and most importantly the voices of conservation and stewardship. 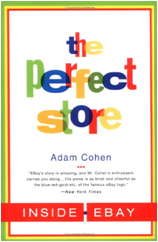 We need to keep the site design clean, simple, easy to read and navigate, and in keeping with Friedman’s rule#3, we will provide a buffet of real, true-life experiences by featuring successful projects executed and written up by the folks who are actually out there on the ground doing the work and living this traditional American way of life. Since this compilation of stories, experiences, and projects will be created by real ranchers, you and the entire ranching community will be able to trust the information, and through this network of connectivity folks can reach out and connect with the individual sources of information to validate and ascertain its authenticity. As in The Perfect Store, this site will be an online community of conservation minded working ranchers which will elevate the message to a national level using the internet as the platform. This web-based community will empower the ranching community and depict it as a community of innovators and the traditional stewards of the most important landscapes west of the 100th Meridian. 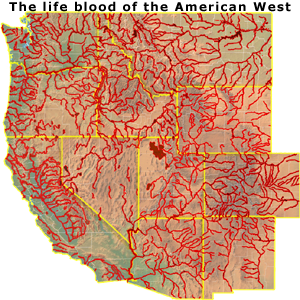 The bottom lands and creeks and valleys of the west, as depicted in our slide, are the vital arteries leading to the corporal heart of the west, they provide the water, wetlands, and riparian areas that all the fish and wildlife depend on. Your lands are the lifeblood of this region, and in the near future will become more ecologically and financially valuable as carbon sequestration and ecosystem service financing become a reality. I present to you my concept for success … Ranchbook. The stories will become grist for weekly or biweekly blogs by two bloggers: JoanChevalier, who has been writing Ted Roosevelt speeches for a decade and Sharon O’Toole of Ladder ranch who can depict the down on the ranch, community-based perspective of contemporary ranchers. 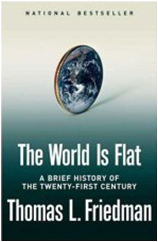 Distribute this online 24/7, 365 days a year and take it to scale based on sheerwealth of content and quality and the incremental impact of blogs and multi-media market absorption. The compounding content will generate an increasing multiplicity of PR opportunities, and media coverage. Provide communication connector / bulletin board for ranchers to communicate with each other and help others learn how to be successful. Ranchbook will be linked to PLN and CTC so our entire network of ever-expanding programs, services, and information sources will be inextricably linked to the site for ranchers who want to replicate the actions and projects of their peers and progenitors can readily adopt and act on their own. Ranchbook will be consistent with, and the embodiment of, the visions and business execution of the great internet company success stories, as well as our own experience in successfully building our product line of conservation minded internet resources. If I could make a comment about the length of your blog... it's kind of long, and honestly it was so long that I stopped reading it towards the middle. To make sure that you're going to keep your readers' attention, try to break these up in to parts, and post one part each day. Attention spans are getting any longer, so try to keep that in mind.